This weeks group policy setting on the week is one that most IT administrators will probably want to implement. Now for personal use the Windows logon sound is quite nice however when you have an office packed with computers it can sound like a symphony in the morning as everyone turns on their computer. 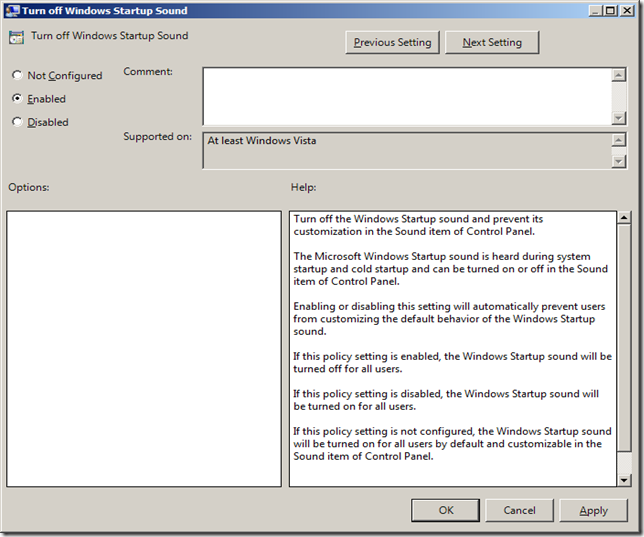 This is a new policy setting for Windows Vista but during the Beta is was not something that could be turned off. Luckily Microsoft heard loud and clear that this was an option they needed to add and by the RTM they had added this option for end users and IT admin. As I mentioned before this is a Windows Vista or greater setting which can be found under Computer Configuration > Policies > Administrative Templates > System > Logon. 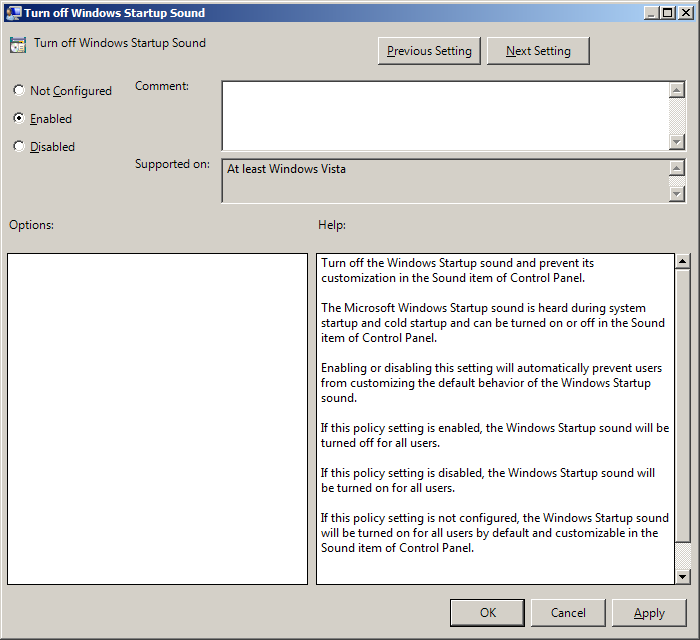 Hi, would it be possible to switch default sound scheme to ‘no sounds’ -scheme with Group Policy? And thanks for the tips! Very usefull stuff.